Whitewashing is a simple painting technique that can lend a piece of furniture a weathered, nostalgic appearance. If you’re going for an antique, nautical or country look in a room or your home, a whitewash effect can incorporate your furniture into those themes nicely. Best of all, whitewashing is simple to do and will require just some basic supplies from your garage or local home improvement store. A whitewash can add weathered beauty to wood. Strip whatever piece of furniture you plan to paint. You can do this by sanding off any paint or sealant on it or using a chemical stripper. Thin your paint. 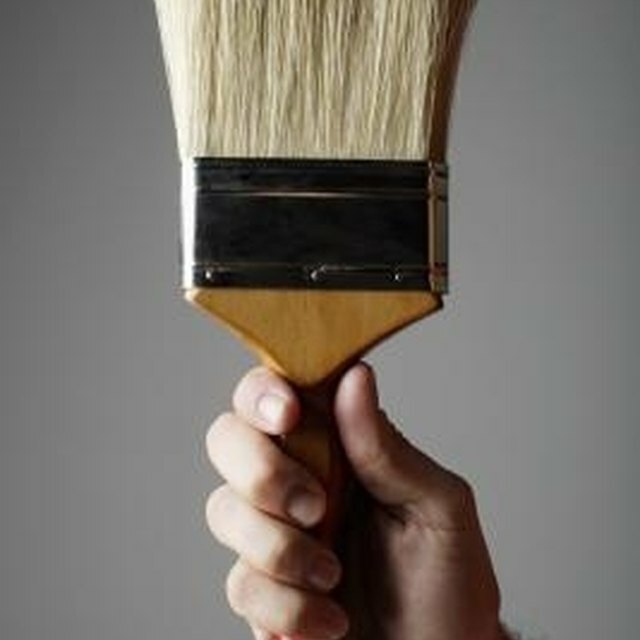 If you are using an oil-based paint, thin it by mixing three parts paint to one part mineral spirits. If you are using a latex paint, thin it by adding four parts water to one part of paint. Stir the paint mixture until it’s completely mixed. Apply the paint to the piece of furniture; work in small sections, since you’ll have to go back over each section with a rag before the paint dries. Allow the paint to sit for a few minutes before going over it with a rag. Work the rag in the direction of the wood grain. Use the rag to wipe off any excess paint. You want the furniture being whitewashed to get just a light coat of paint, so that you can almost see what’s underneath it. Repeat the paint application followed by a rag until all areas of the piece are covered to your liking. Allow the paint to dry for a minimum of a full day. Sand down the paint in areas where it looks heavier or whiter than you’d like. Apply a low-luster sealant to protect your paint job.